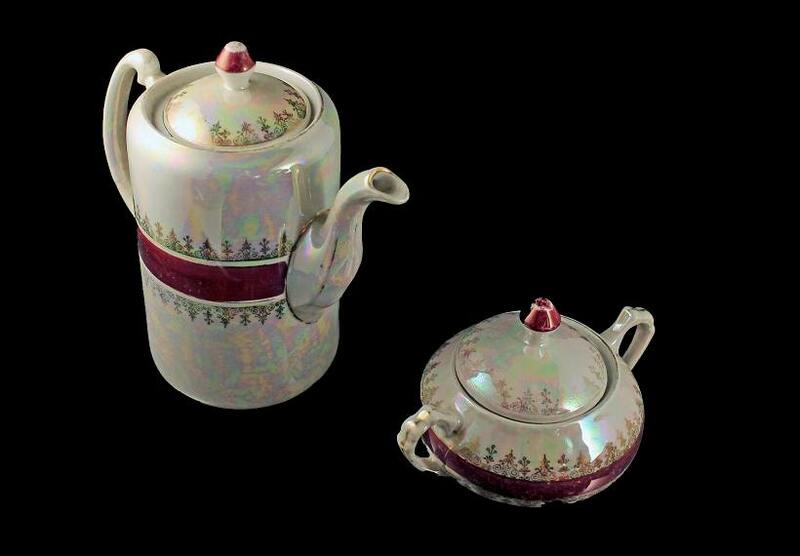 This is a lovely lusterware teapot and sugar bowl from Germany. 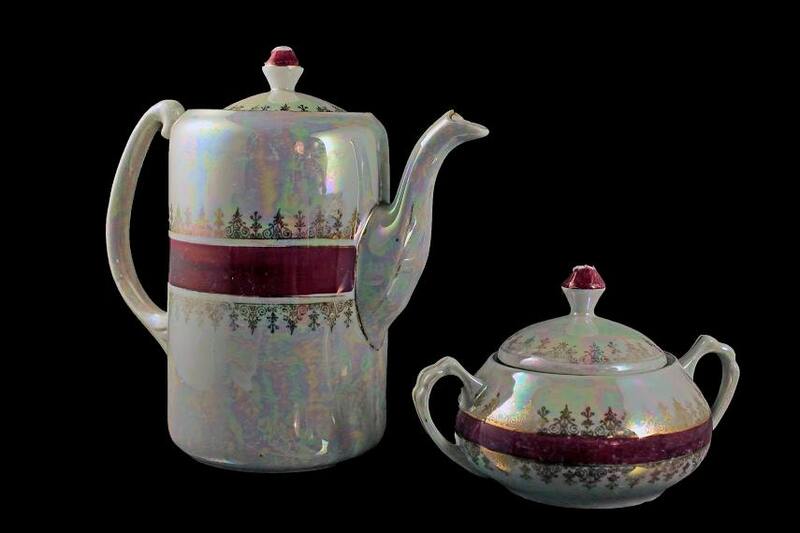 This teapot is an iridescent (displaying a play of lustrous color) white with a dark red band and gold trim. 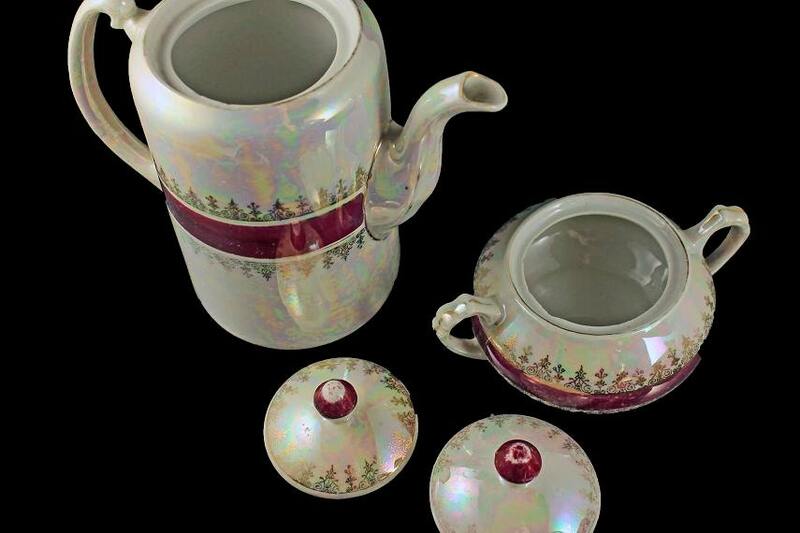 This teapot is a hard to find item. It would be a great addition to a collection. 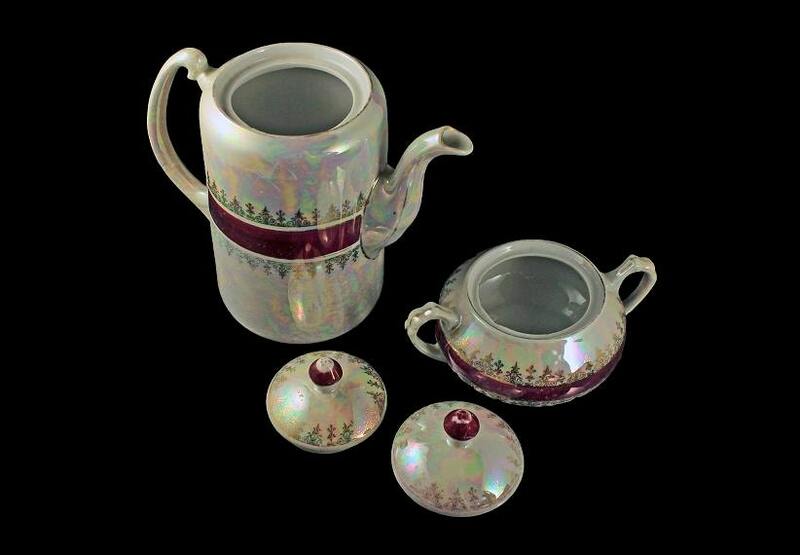 What a great teapot for enjoying an afternoon tea out on the veranda, porch, or patio. 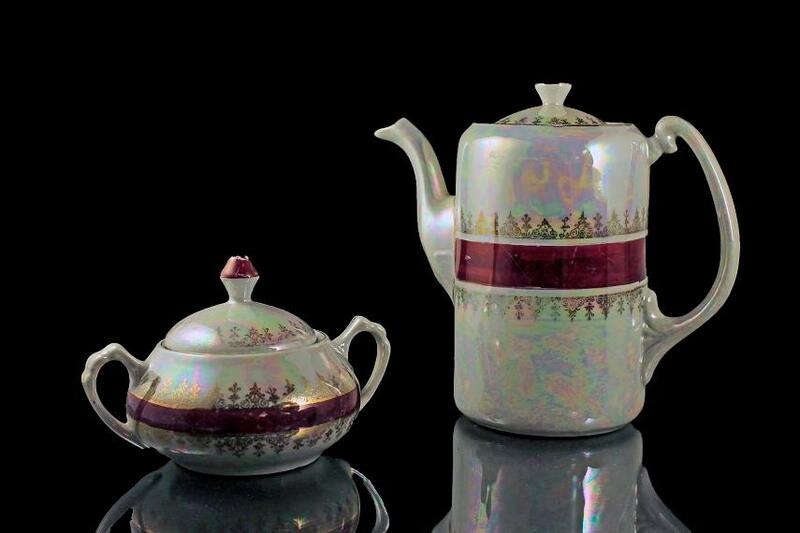 This teapot and sugar bowl are very old and in very good condition. It has some small flea bite chipping around the inside rim of the sugar bowl. Please check photos. There are scratches and rubbing on the finish from being used and loved over the years.